It’s the most fashionable political campaign in decades. And I’m not just talking about Boris’ hair, or the sweat dripping down Cameron’s brow being the biggest fashion statement of the year. 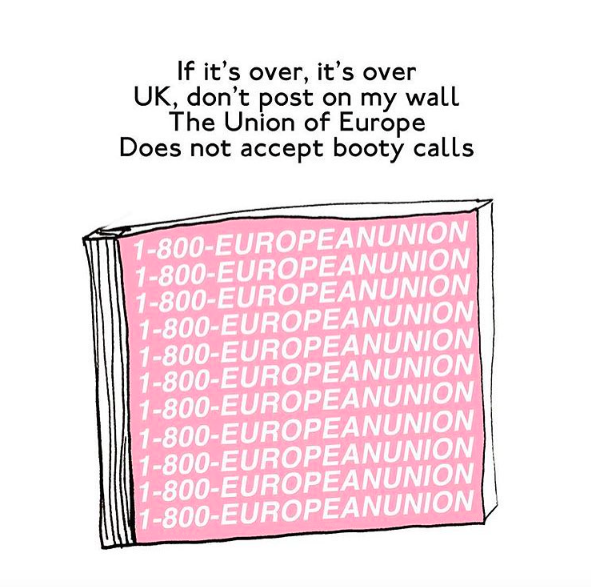 The European Union referendum has got everyone talking, including the world of fashion. Firstly, there’s the facts; leaving Europe would be bad for most British fashion houses who count on foreign trade to support them, particularly support from within the European market. Burberry were one of the first who were keen to declare themselves as IN at the start of the campaign, the famously British brand announcing that it stood firmly with the decision for Britain to remain part of the EU. Next came many other brands following suit, along with more news on how Brexit would be terrible news for the fashion industry. Since then, numerous fashion faces have shared their personal stance on the matter, Vivienne Westwood herself even posing for a picture in a t-shirt reminding people to vote. Numerous others have followed suit, similarly persuading people to vote in, including the likes of Daisy Lowe and Bella Freud. 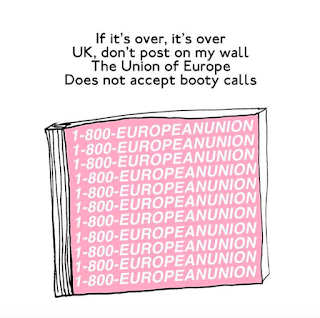 It's not only the fashion world that feels strongly about remaining part of the EU. People from all creative corners have come forward in declaring how 'the UK's creative success would be severely weakened by walking away' as part of an open letter in the guardian in which Tracy Emin, Sam Taylor Johnson and many more, signed a petition to remain in Europe. So, I know it's not good to copy what cool people do... But the facts are there and the cool people are in.